MAKING PLANS FOR NEW YEAR’S EVE? We PUT TOGETHER these events in Singapore FOR 31 DECEMBER 2018 SO YOU DON’T HAVE TO. We cannot wait to countdown to the new year here at Circles. If you haven’t had time to make plans, we break it down to key areas where the celebration can be found at for you! Access all these event details when you download Circles Discover on iOS or Android. 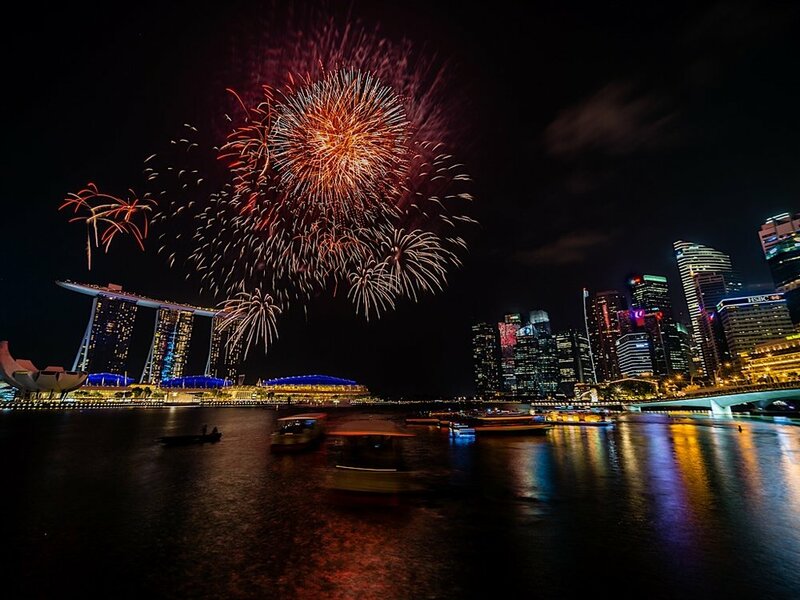 Our top pick for where to hang out on NYE is by Marina Bay! There is a plethora of events ongoing to get you into the festive mood. Play games at Marina Bay Carnival then fill up your tummies with noms from Food Truck Fest. Indulge in your ear candy at Mediacorp Let’s Celebrate and Esplanade Presents Come Together. The ties come off at night in the Central Business District (CBD) on New Year’s Eve with parties that can be found around town. Paint the town red at Bang Bang, Lulu, Bar Rouge and Ce La Vi. So it is not an actual trip but it might be the closest we can get to over “overseas”. Hop over to the island for some adrenalin pumping parties at Siloso Beach Party , NYE Countdown Cruise or BND: New Years Countdown. You will want to be by Clark Quay for a night of revelry at the Block Party Countdown 2018. Otherwise, try something new at the uber stylist Warehouse Hotel’s Sin City or toast over a meal at Dallas Boat Quay. Just walking along Orchard Road and you are immediately soaked in the excitement of the festivities. Make it better by boogieing the night away at OverEasy and Novotel. Want To access all these event details easily? Simple. Download Discover on the Circles.Life App on iOS or Android.